Hi loves! Sunday already, why do weekends always pass so quickly? Oh well, just another 5 days of work to get through right ;-)? 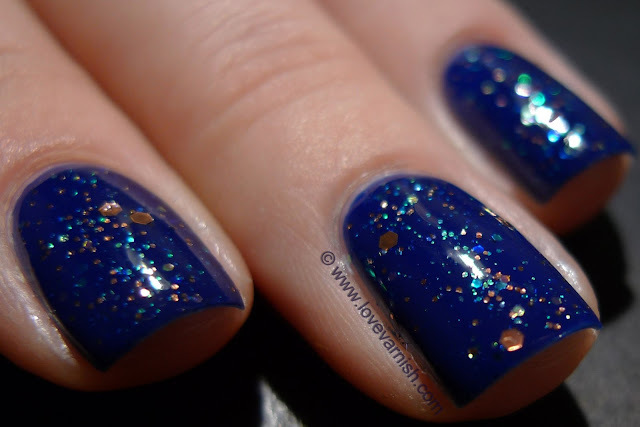 Today I am showing you one of the prettiest polishes I have used lately. The super sweet and adorbs Mimi from Makeup Withdrawal has sent me 8 mini bottles of her frankens and WOAH is this one stunning! For starters it has copper glitter. That already makes me happy. 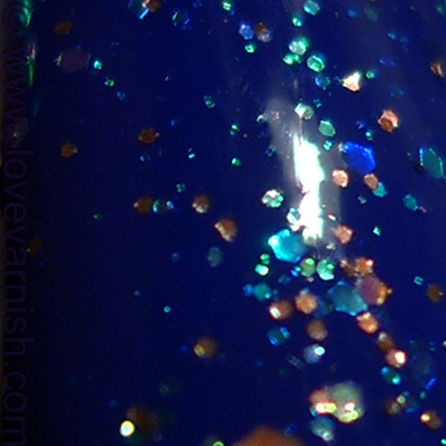 Secondly, it holds green iridescent like glitter. 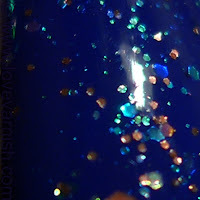 And then there are very bright blue glitters. It is beautiful! It applied like butter, I just needed 1 coat over my manicure with 2 coats of China Glaze Bermuda Breakaway. Makeup Withdrawal Bokeh in a Bottle has a slightly tinted blue base but it matches my basecolor perfect so it didn't alter the basecolor :-). I am reaaally happy to own this one. Polly Polish also showed it but over a darker base - stunning too! Color accurate - look at the pretty copper glitter! For more pictures please click read more! 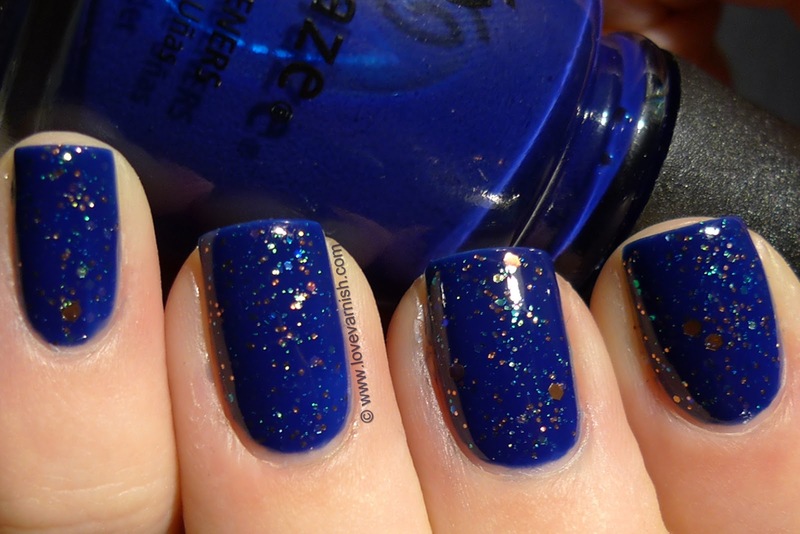 Aww yeah, check out the bokeh on my pinky - this polish lives up this its name! Oh my!! This is lovely!! It does :D, thank you Tess. Aww thanks Gwen, I feel very lucky indeed with a friend like Mimi!